My father has been dead for twenty four years but this is the first time that I have truly wished that he was here for this…the launch of my first poetry collection. Odd, isn’t it? I suppose I say that because it shows how proud I am. I was surprised by this and it made me realise how often I try to suppress pride. Of course, the children are perfect in their own right, nothing to do with me. My cooking skills are inevitable after so much time at the stove. I inherited my positive characteristics and my weaknesses are my fault. And it goes on to undermine self belief. Every rejection I receive is much more poignant than an acceptance. 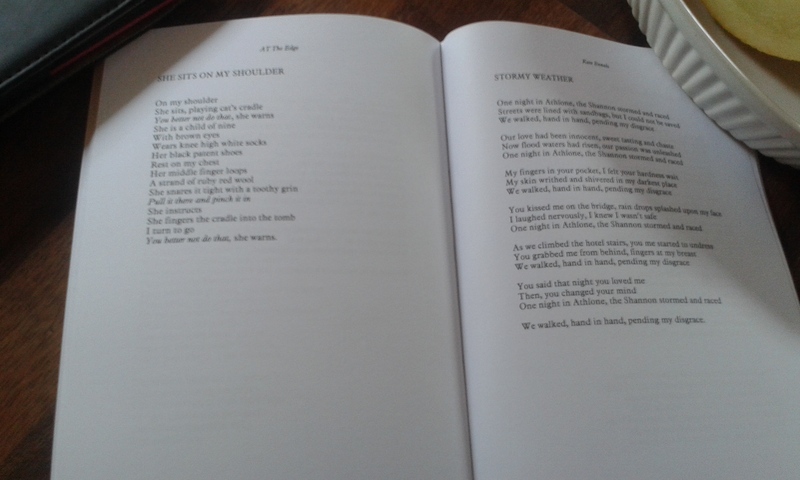 The pleasure of having a poem published is much more fleeting that the pain of rejection! And, look, see how easily I have diverted myself from saying how very excited and joyful, and proud I am to have a book of poetry published. 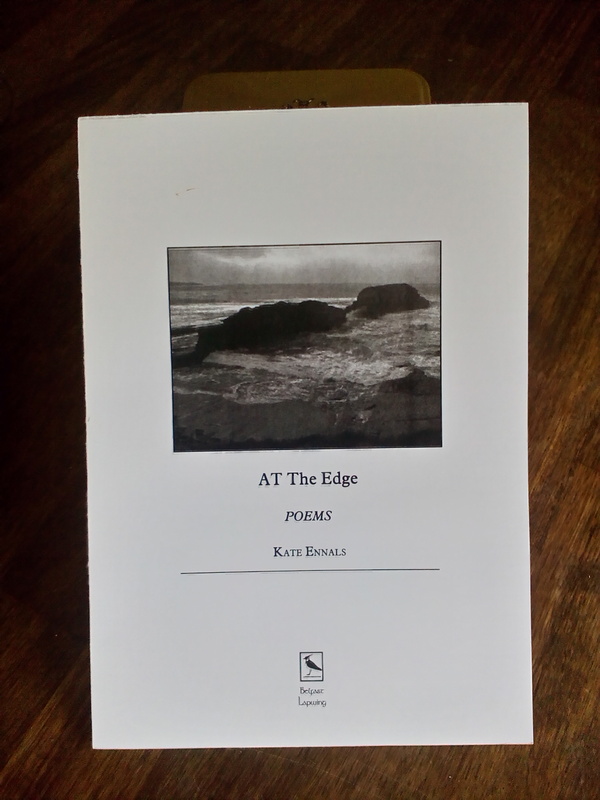 So, you are formally invited to the launch of AT The Edge, the debut poetry collection of Kate Ennals. It will be launched by lovely poet, Noel Monahan on Friday 4 September at 6.30pm in the Town Hall, Cavan and on Friday 11 September at 6.30pm in The Kitchen at the Museum in Galway with the wonderful Kevin Higgins at the Over The Edge Writer’s Gathering. In Cavan, there will be buns, bunting, wine and weeping! Other achievements (children, cakes) may also be evidence! On a completely different subject, I want to wish Jeremy Corbyn good luck. Jeremy getting elected as the Party Leader in Britain would make my summer. To have a Labour Party leader that believes in Equality, Justice, and Truth as absolutes that we (as a society) can actually achieve and share would give me hope for the future. It is lovely to have a personal accomplishment, like the publication of a book, but to have hope that British political policy can be more than blind, self-preserving knee jerk reactions would be wonderful. At the moment, living in a society where corrupt, self interest and greed prevails, I am terrified and I feel at a total loss in the world. By the way, in my last communication I was wondering about writing under a different name. My first love of my life responded and suggested ‘Kattle’, the pet name my father gave me. It has a certain ring to it, n’est ce pas? You can order the book from myself by sending €15 or £15 to Drumbriste House, Loch Gowna, Co. Cavan which includes postage and packing. Or, I guess, you can order it from any good bookshop but the distributor makes the profit then! The publisher is Lapwing. ← An Announcement: I’m Having a Book Published! Reblogged this on The Bogwan's Cannon.